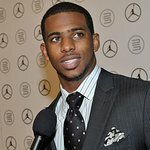 Laureus Sport for Good Foundation USA, the leading non-profit organization that uses the positive power of sport to tackle society’s most pressing challenges, announced today it is joining forces with Los Angeles Clippers point guard and NBA All-Star Chris Paul and naming him its newest Ambassador. Paul joins an impressive list of both current and former sportspeople supporting and promoting the Laureus Sports for Good Foundation’s work around the world. Paul was in New Orleans today at the KIPP Central City Primary School to announce his induction into the growing Laureus family. Laureus USA has strong ties to the city of New Orleans via its partnership with Mercedes-Benz USA, where the two have teamed up to support safe afterschool programs benefitting more than 4,000 kids in the local community over the past two years. Paul is also back at the KIPP school revisiting the children that are part of his CP3 AfterSchool Zone program that he launched in 2010. The Afterschool Zone is a tailored multi-year program for K-4th grade students providing personalized afterschool experiences including sports, language lessons, homework help and more. The Laureus Ambassadors, along with the members of the Laureus World Sports Academy, support the Laureus Sport for Good Foundation. The organization’s mission is to utilize the power of sport to address social problems through a global program of sports-related community development initiatives. Laureus USA works with numerous organizations around the country to help support initiatives that affect youth in their area such as accessing quality coaches, furthering education, and increasing physical activity. Based on his own successful childhood experiences with afterschool basketball and extracurricular programs, Paul knows first-hand that quality afterschool programs can be highly impactful on youth development. Paul wanted youth in New Orleans to experience those same opportunities that helped shape him to be who he is today. “I will never forget how much of my success today I owe to my family and the fact that they supported me as I grew up and continue to support me and my wife and children today. Most important of all, I’m thinking of my grandfather. He taught me the values that have made me who I am today. Not everyone is lucky enough to have that person and this is why I am so passionate about giving back to young people who might be in need of someone to guide them through tough times. It’s this kind of work I’m so excited about taking on as I become a Laureus Ambassador,” says Chris Paul. “It is an extraordinary honor to welcome world class athlete and fellow philanthropist Chris Paul to the Laureus family,” said Edwin Moses, Chairman of the Laureus Sport for Good Foundation USA. "We are excited to join forces with Chris and work together to lead the charge for Sport for Development and help us spread the word about how the investment in quality sports based youth development programs can make an enormous impact in children’s’ lives. " 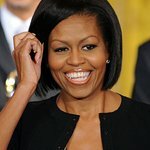 For more information about Laureus USA, please visit www.laureususa.com.